Today I'm posting a couple of new pictures. Everyone in the pictures are Eastern Kentucky University graduates....including Dr. Vories! He went on to the University of Kentucky Medical School and became a physician in Eastern Kentucky before becoming a prominent hair transplant surgeon. 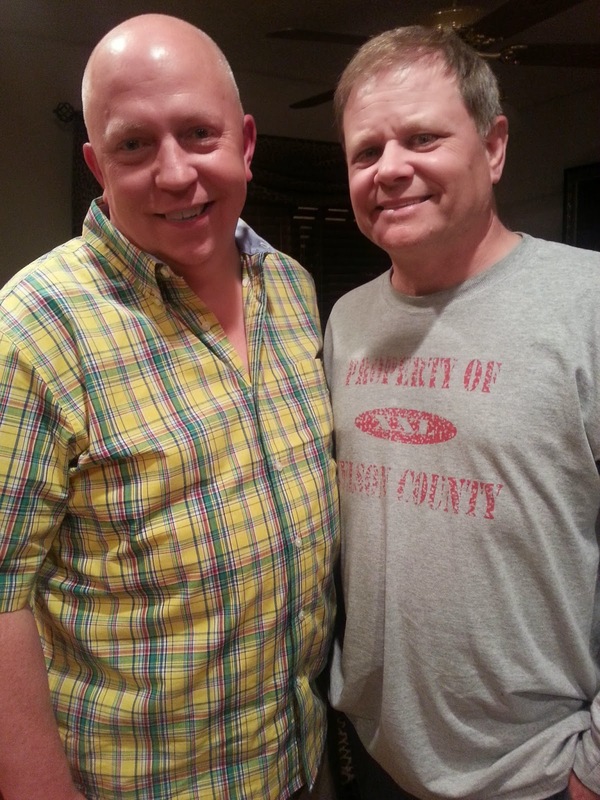 The other person is Robert Bell who is a highly sucessful radio personality and motion picture actor! 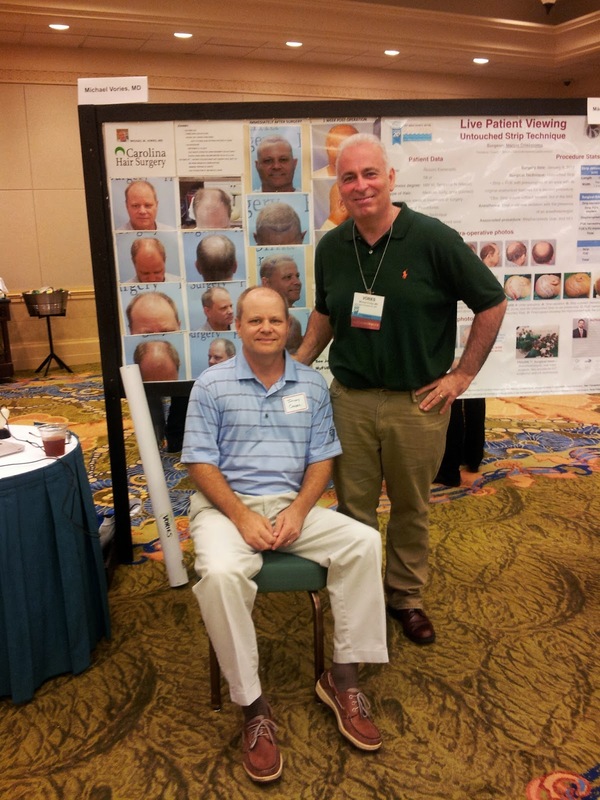 The second picture was taken of Dr. Vories and me at the International Hair Restoration Conference in the Bahama's. I was on display for a room full of hair transplant surgeons. Everyone was congratulating Dr. Vories on the success of one of the largest single session FUE transplants ever!!! I was five weeks out of surgery when the picture was taken.